Stephen’s Headstall, Browband and Cheek pieces Sold as in picture. 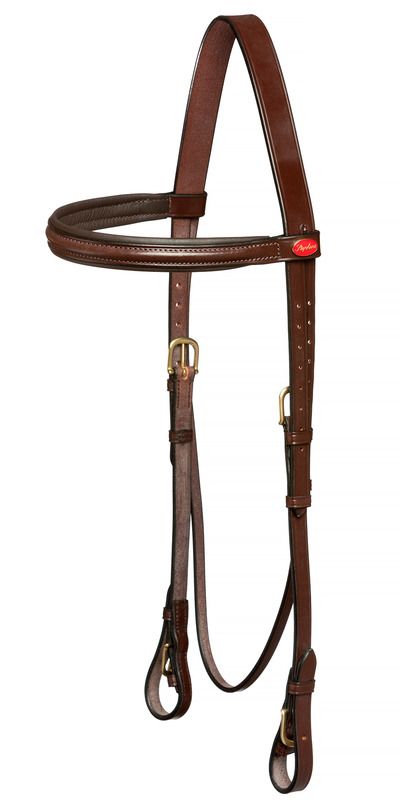 A Headstall is used for holding a bit, bosal, nose piece, or other piece of equipment to control a horse while riding. Select your Cheek pieces from Hook Stud, Buckle or Clip Cheeks. Select your Browband from raised, raised padded or clincher – headstall can be sold without browband – please ask for reduction!